Cardiff tennis player Matt Story has become the British junior doubles champion, partnering Scotland’s Vincent Gillespie to the U18 title at Nottingham. Champions! Matt Story (left) with doubles partner Vincent Gillespie. 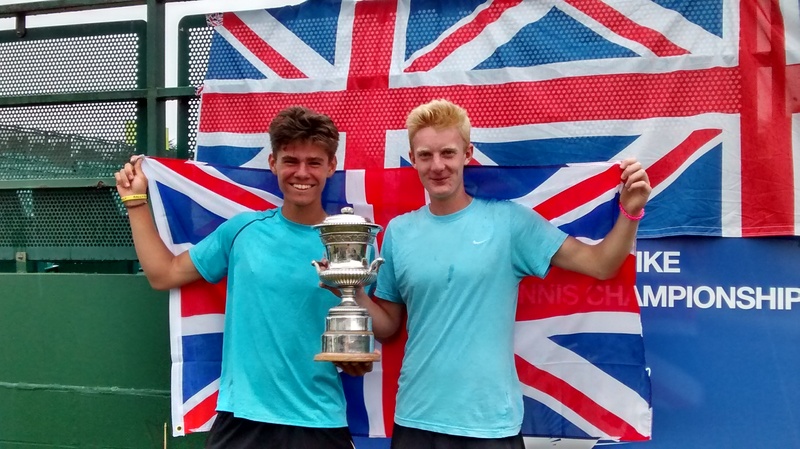 Seeded number one, they won through to face number three seeds Ben Jones and Harvey Shackleton in the final at the Nike British Junior Championships, which they won 6-3, 6-2. Story, who trains at the XL Academy at Cardiff Metropolitan University, was runner-up in the U16 doubles last year with partner Matthew Summers. A member of the Wales team for the Youth Commonwealth Games in Samoa next month, he won the Grade 5 ITF (International Tennis Federation) doubles tournament in Malta earlier this year, and won the U16s and U18s singles and U16s doubles in the 2014 Welsh championships – regaining all three trophies for the second time.